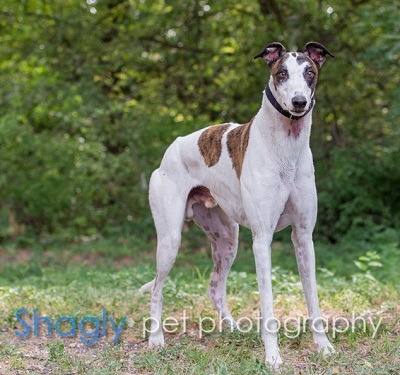 Griffen, aka Griffen Leafs, is a 3-year-old white and brindle male born May 1, 2012. His sire is Rough Hustle and his dam is Leafs Flying. Griffen has 34 races on record at several tracks from February 2014 to February 2015. He is happy to be on the search for a forever home. 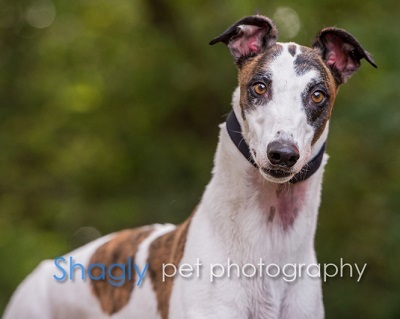 Griffen has not yet been tested with cats or other small animals. Pictures coming soon.